Gigya, a Facebook Preferred Marketing Developer, released a new Consumer Insights tool that gives marketers a view into consumer identity. This is done by capturing data from other Gigya products like Social Login, Sharing and Gamification and then visually displaying insights in a dashboard. Marketers are tired of hearing companies preach about ‘Big Data’ and the vague ways they should be using it. Consumer Insights finally puts massive amounts modern consumer data — everything from users’ interests, to their Facebook likes, to the articles they’ve commented on — into one dashboard that actually shows marketers what they need to know about their users, complete with the integrations with the marketing platforms they already use. Consumer Insights allows marketers to easily query Gigya’s Identity Storage database and tie identity information with key performance indicators to understand what psychographic and demographic information is driving meaningful behaviors such as purchases, commenting or sharing. 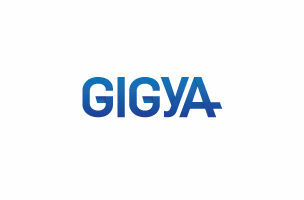 According to a press release, several Gigya customers will be using the new tool to better understand their users and optimize their marketing efforts by using Consumer Insights to create advanced audience segments. To showcase the product’s depth, Gigya examined the fan bases of the Seattle Seahawks and Denver Broncos to see how the two audiences differ. They found that the Denver Broncos have a high concentration of fans outside of Colorado, in states such as New York, California and New Mexico, while Seahawks fans are heavily concentrated in the Pacific Northwest. It was also found that Broncos fans are partial to Green Day and Subway, while Seahawks fans still like their Nirvana and Starbucks.